Potatoes give this soup a creamy texture, carrots, onion garlic, bacon bits and smoky seasonings render homemade goodness to warm and comfort your family. Inspired by meals made in her mother’s own kitchen, this easy gourmet soup mix is made the old-fashioned way—hand mixed, brimming with fresh spices, rich, creamy and absolutely delicious. 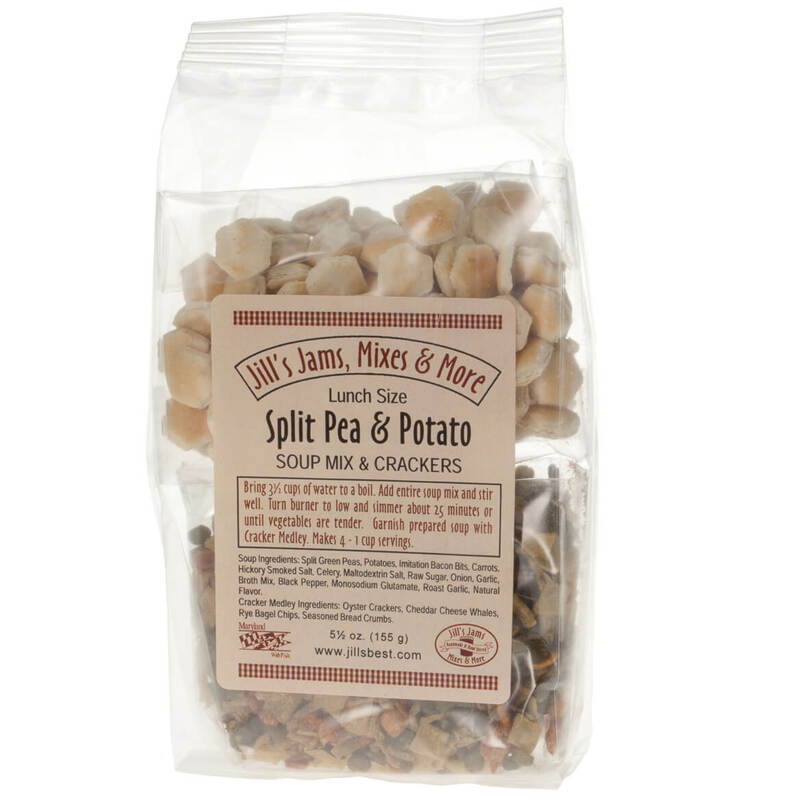 Simply add water; a gourmet cracker medley is included for a crunchy, flavorful garnish. 6.5 oz. 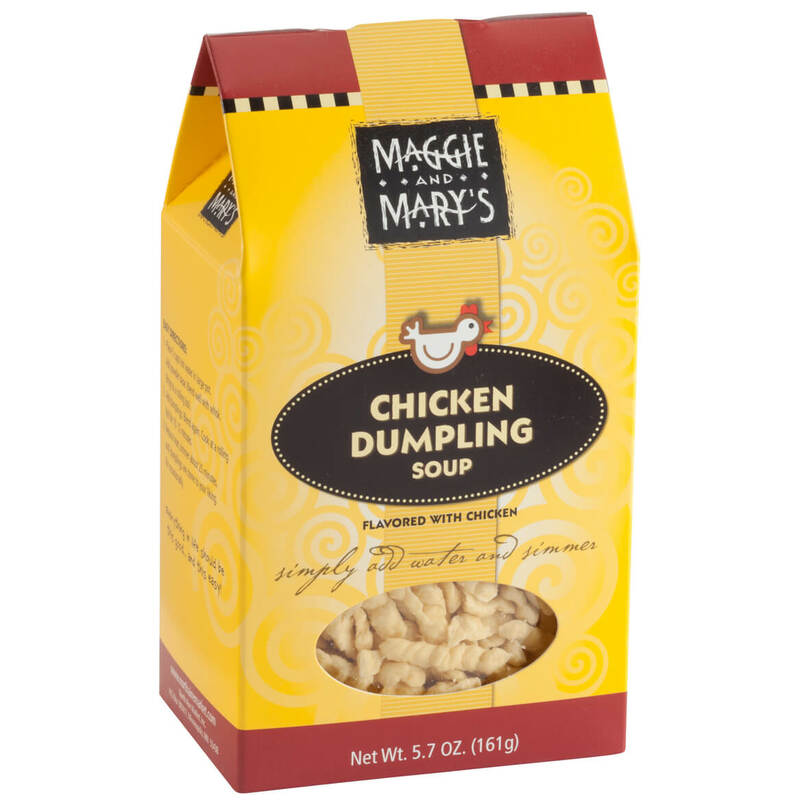 lunch size yields 4 servings (1 cup each). 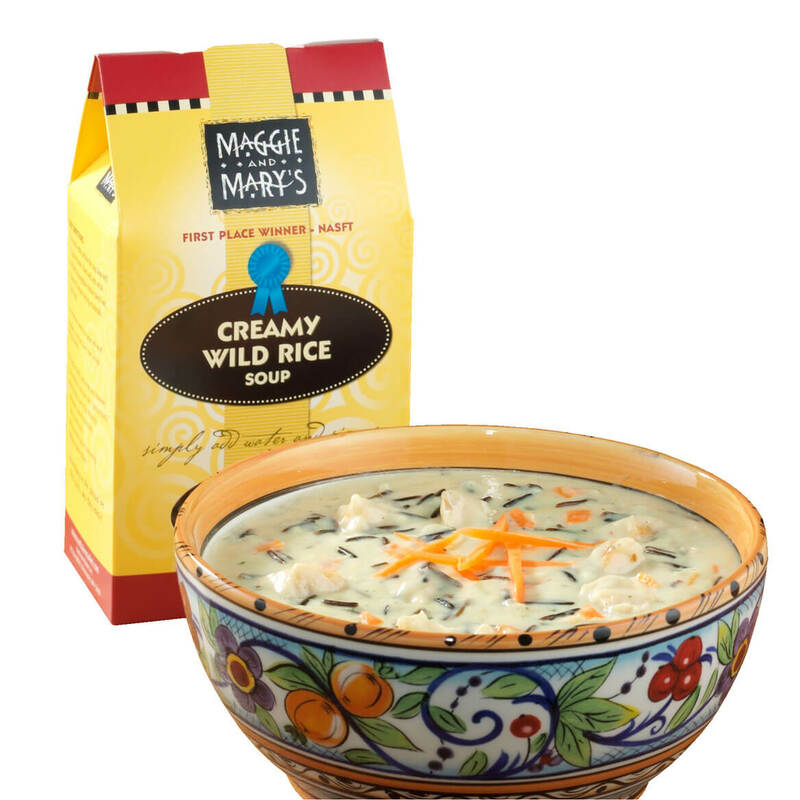 Three cheers for three-cheese soup in ONE easy dry soup mix … add water and heat for a meal you can’t beat! 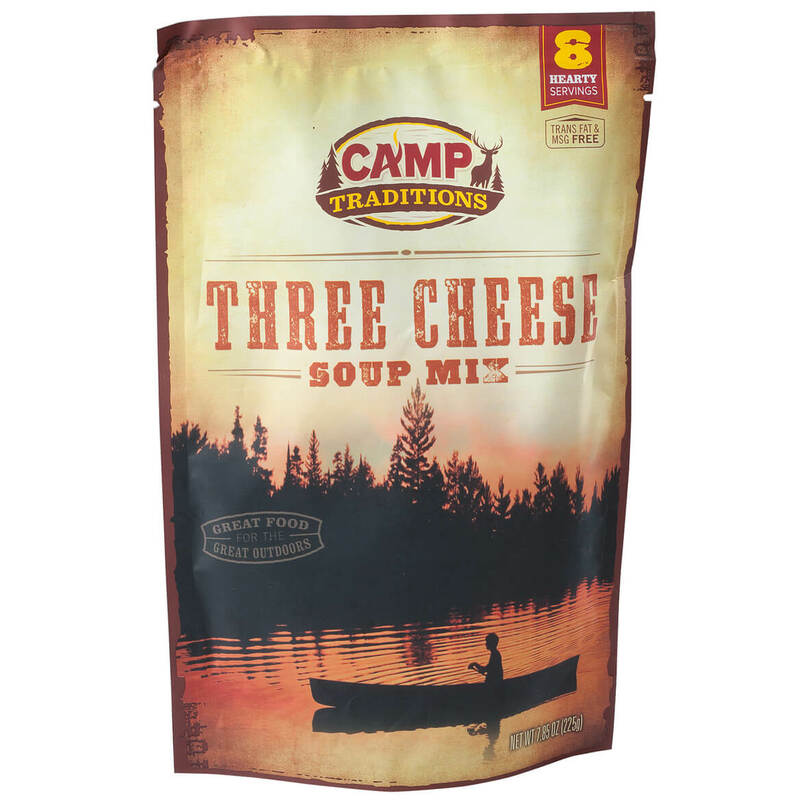 Camp Traditions Three Cheese Soup Mix serves up creamy, dreamy goodness on its own, and you can stir in leftover ham, potatoes or broccoli for a signature dish. 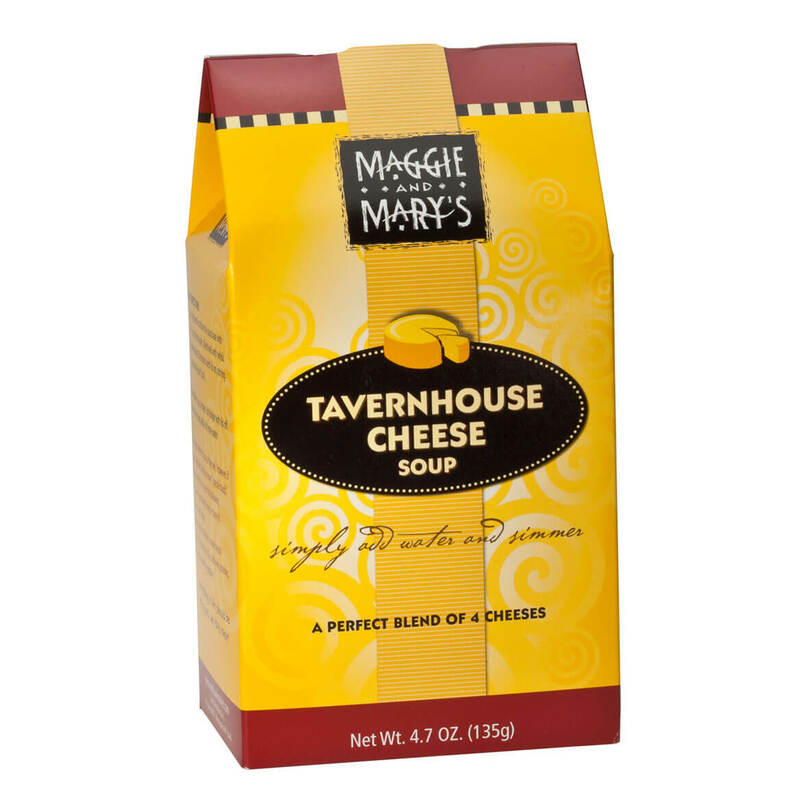 Made with wholesome, quality ingredients and fresh gourmet spices, this cheese soup is a must-have for your pantry, and a gourmet gift you’ll be proud to give. 7.85 oz. ; serves 8. 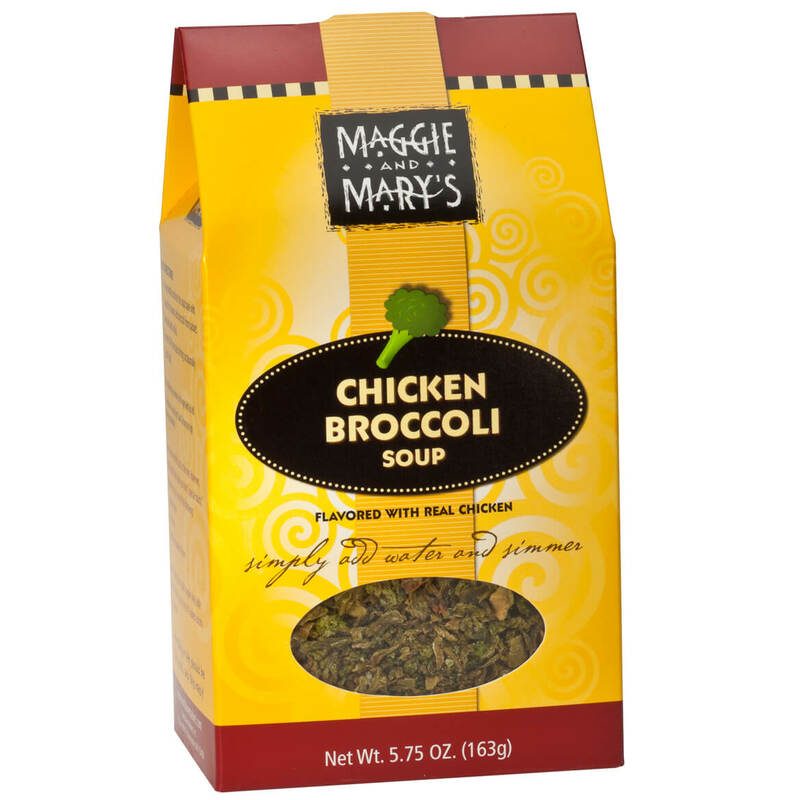 For homemade soup without the work, just add water, simmer, and enjoy! 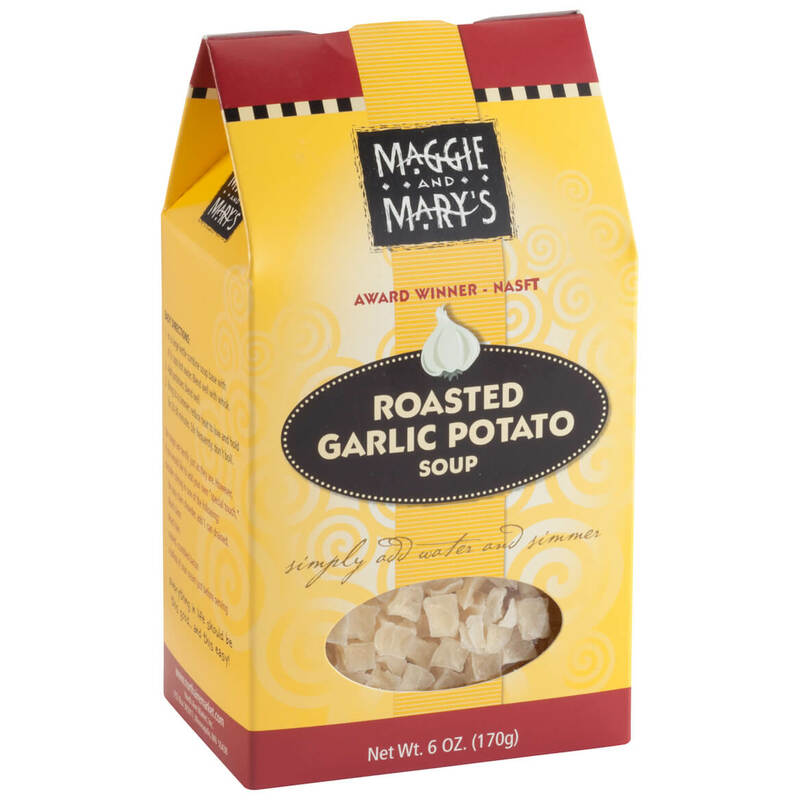 Roasted Garlic Potato Soup Mix includes everything needed forcomforting, full-flavored goodness in minutes. Add meat or veggies for an extra-hearty meal. Each dry soup mix serves 5. 6 oz. 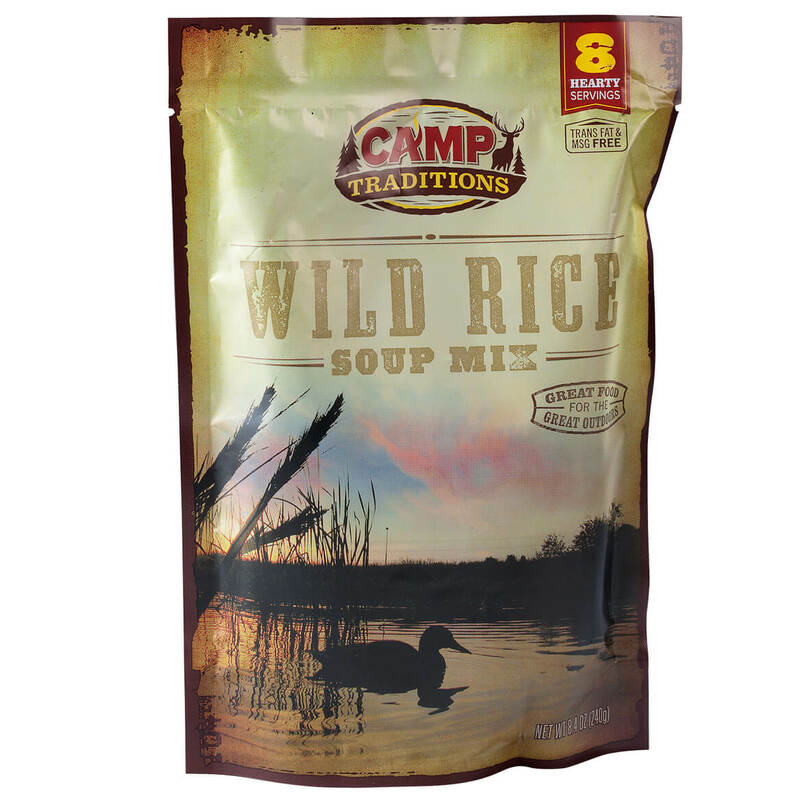 Camp Traditions wild rice soup mix is your ticket to a quick-fix meal the family will love—simply add water and warm up a satisfying supper. 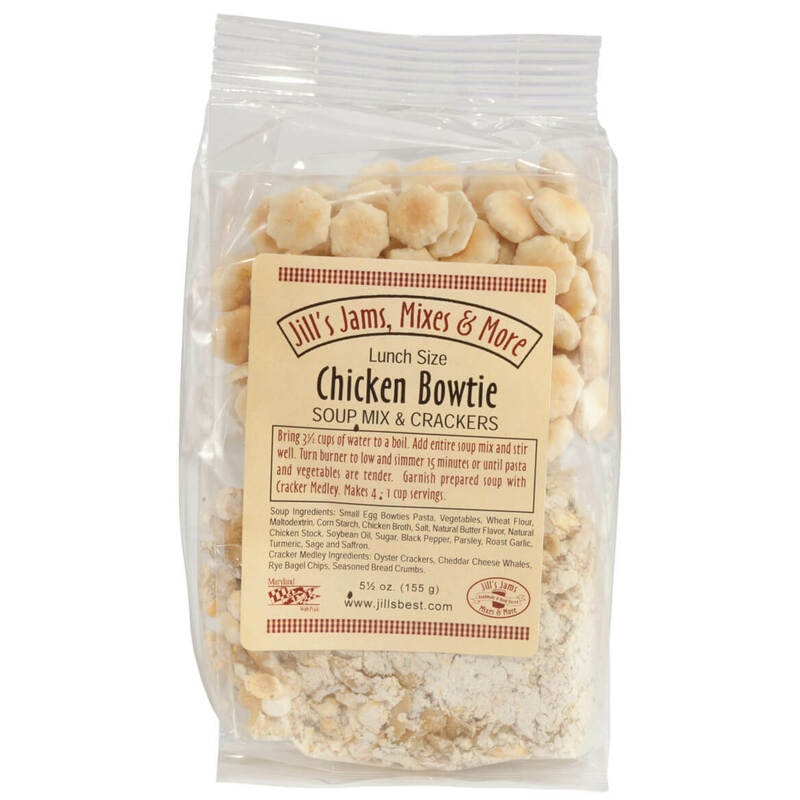 Made with wholesome, premium ingredients and fresh gourmet spices, this dry soup mix is delicious served over bread, tasty on its own … and perfect for giving! 8.4 oz. ; serves 8. 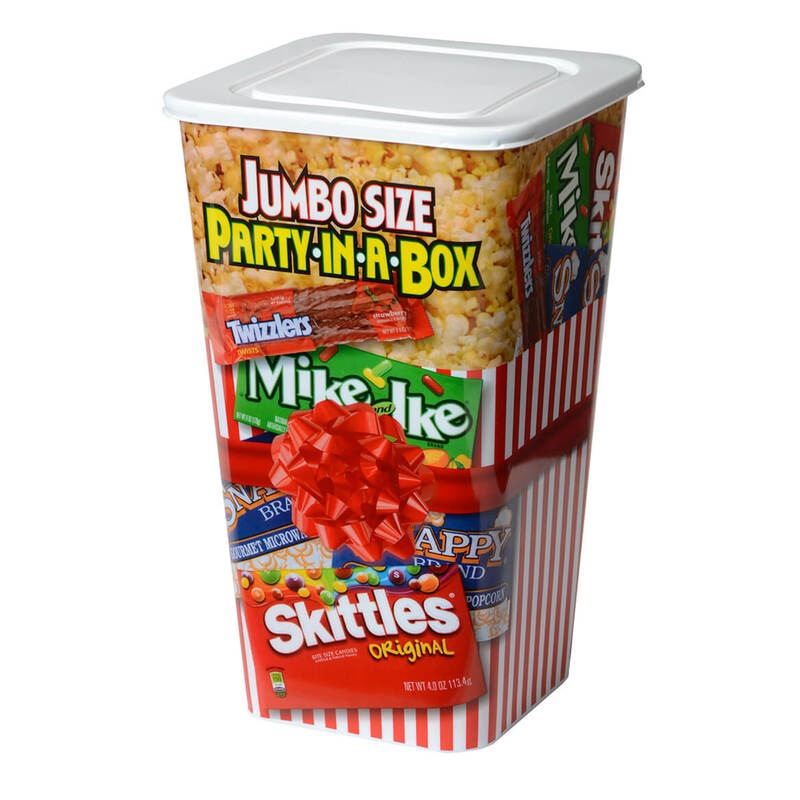 For a hostess gift the whole party will love, go BIG with our crowd-pleasing Jumbo Party-In-A-Box Gift Set! A thrill for treat lovers of all ages, the generous gift includes 2 bags of Snappy® brand buttery microwave popcorn (3.5 oz. each), 1 movie theater box of Original Skittles® (4 oz. ), 1 movie theater box of Mike & Ike® candies (5.5 oz. ), 1 bag of strawberry Twizzlers® licorice (2.5 oz.) and 1 large bag of buttery, popped popcorn (2.0 oz.). Arriving ready to give and enjoy, everything’s nestled in a reusable plastic popcorn tub (14″ high x 7″ dia.). Keep several on hand to use as last-minute gift baskets!